Neruby provides Outsourced Product Development services and support from concept to performance audits via engagement models that are flexible, scalable and customized to meet the specific business requirements of our customers. Our cost effective services to companies who outsource their product development needs are supported by our dedicated pool of software professionals, freeing you from overhead management costs and manpower investment without compromising on quality and service. Software development is a highly technical job. To develop software in-house requires time, skilled manpower, and expensive programs and equipment. 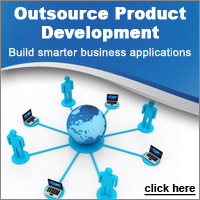 Offshore development is a cost effective alternative to developing software in-house. Outsourced product development services by Neruby safeguards the client's intellectual property, proprietary software and new development specifications with very high levels of security. Clients retain full ownership of all intellectual property rights and software source code at the completion of the project. Our services provide you with immediate short-term access to a broad range of specialized technical skills and equipment, so that you can focus on your core competencies. So, you get to market faster while maintaining your technological advantage. Neruby’s outsourced product development has an extra benefit for other software developing companies, who by sub contracting out some of their most routine tasks to our company would be able to concentrate their workforce on the different tasks, which need their specific expertise. We would insure that perhaps unpleasant and perhaps more routine tasks still get done, saving their time for something of higher priority and importance. If you’d like to know more about our outsourced product development services, contact us today!